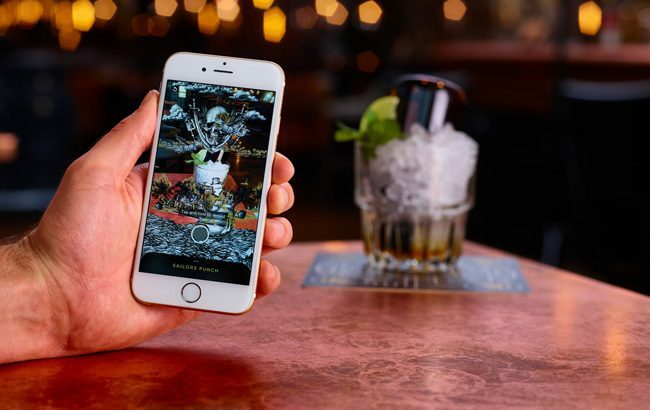 UK-based bar chain The Alchemist has unveiled an augmented reality (AR) cocktail menu called The Conjurer, which is brought to life through a smartphone app. The menu features six signature serves, which are brought to life by The Conjurer app – available from the app store on Android and iOS devices. The Conjurer by The Alchemist will initially launch at the chain’s Covent Garden site in London and is said to “cast an intriguing spell on your cocktail”. Once the cocktail is viewed through a smartphone, the app “brings life to the vessel and concoctions within”. The AR technology aims to tell the story behind each cocktail, and can also help imbibers unlock a hidden cocktail. When viewing the mobile app, imbibers will be able to see animations for each cocktail, capture the action through their camera, share their experiences to social media and log each cocktail they try. The new menu has initially launched in London, but the chain intends to roll the menu out to other venues in the coming months. Jenny McPhee, head of brand for The Alchemist, said: “We are extremely proud to be one of the first bar and restaurant brands to offer augmented reality cocktails on a national scale. The Alchemist, which launched in Manchester in 2010, operates 14 venues across the UK – including bars in Leeds, Manchester, London and Nottingham. Initially opened by restaurant and bar operator Living Ventures, the chain completed a £13 million management buyout backed by Palatine Private Equity in 2015. The world’s bars are increasingly turning to cutting-edge tech to entice imbibers inside, SB looked at the ways technology is used to enhance the visitor experience.